Fort Worth residents are environmentally conscious and technologically savvy. They want their homes to reflect their modern lifestyles, in appearance and functionality. 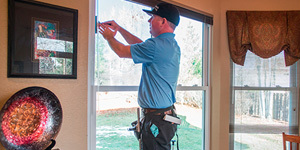 With window films, both homeowners and business owners can receive savings on energy costs, enhancements to security and privacy, as well as all sorts of decorative applications that add style and an updated look for an affordable price. 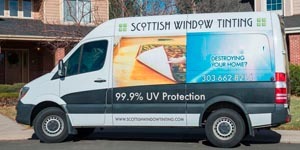 When you work with Fort Worth Window Film, you are getting a decade’s worth of experience in the window film business, the highest quality products available on the market today, as well as highly trained installation technicians who do the job quickly and efficiently. 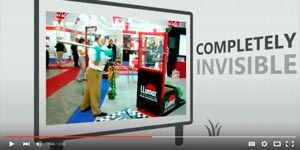 We provide a wide range of window films from the leaders in the window tinting industry, including Vista, Llumar, Enerlogic, 3M, GraffitiShield, and more. 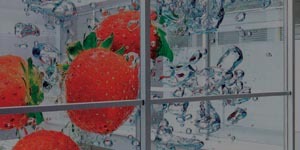 When it comes to window films, our clients want high-performance products that will look beautiful and offer the benefits they are looking for. 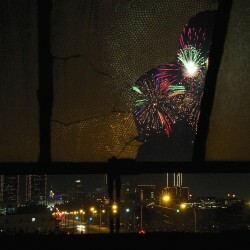 Let Fort Worth Window Film help you choose the best possible films to meet your residential or commercial needs. 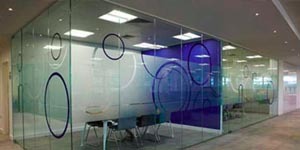 Call us with any questions or to receive a quote for a window film job. We are proud to own an A+ rating from the Better Business Bureau and we would love to be your trusted window film experts. 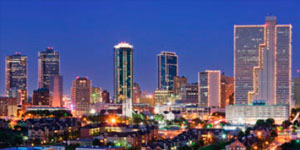 Fort Worth Texas is a modern city with a growing economy. 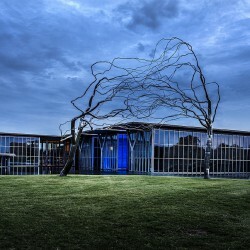 This former cowboy trading post at the end of the Chisholm Trail still plays host to the Fort Worth Stockyards and houses the National Cowgirl Museum, but it also has every modern cultural amenity, such as the famed Kimbell Art Museum. 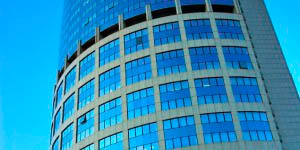 Our commercial customers are also eager to take advantage of the overhead-slashing benefits of energy saving window films. We install this money-saving product in hotels, hospitals, schools and universities, offices, malls, and any other commercial or municipal space. 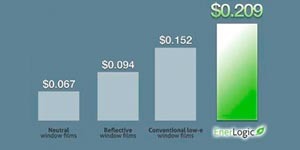 The most popular window films for Fort Worth homes are of the energy efficiency type. 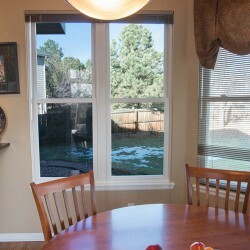 These films enhance the thermal efficiency of the windows, blocking heat gain in the summer and heat loss in the winter. As a result, Fort Worth homeowners save up to fifty percent on heating and cooling costs over a year’s time. These films have other impressive benefits as well, blocking the glare that prevents homeowners from seeing their TV or computer screens at certain times of the day. They also contain a powerful UV block, preventing 99 percent of the sun’s ultraviolet rays from entering the home. These are the same rays we all wear sunscreen to protect ourselves from and are the same rays that cause your home’s interior furnishings, upholstery, flooring, and artwork to fade over time.